Aviation Updates Philippines - Largest budget air carrier in the Philippines, Cebu Pacific Air, cancelled its domestic flights to Tacloban due to the ongoing runway rehabilitation in preparation for the upcoming Papal Visit in January next year. However, Cebu Pacific arranged additional flights from Cebu to Tacloban using its 72-seater ATR 72-500. Cebu Pacific's ATR 72-500 taking off. The Civil Aviation Authority of the Philippines recently issued a Notice to Airmen or NOTAM to advise commercial airlines that the only usable length of the runway is 1,300 meters from December 17 to December 25, 2014. Turbo-prop aircraft such as the Bombardier Q400 and the ATR 72-500 are the only ones allowed to land due to runway limit. The limited usable length of the runway forced Cebu Pacific to cancel its flights. The cancelled flights are the following: 5J 651/652: Manila-Tacloban-Manila, 5J 653/654: Manila-Tacloban-Manila, 5J 657/658: Manila-Tacloban-Manila, 5J 659/660: Manila-Tacloban-Manila and 5J 428/429: Cebu-Tacloban-Cebu. In addition, Tigerair Philippines also cancelled its flights. The cancelled flights of the said airline are the following: DG 7042/7043 Manila-Tacloban-Manila, and DG 7044/7045 Manila-Tacloban-Manila. However, passengers may rebook their flights within 30 days from original departure date, or request for a full travel fund or refund. The affected passengers may call +(632)7020888 or +(6332)2308888 (for Cebu Pacific passengers and Tigerair Philippines passengers) to specify their preferred option. 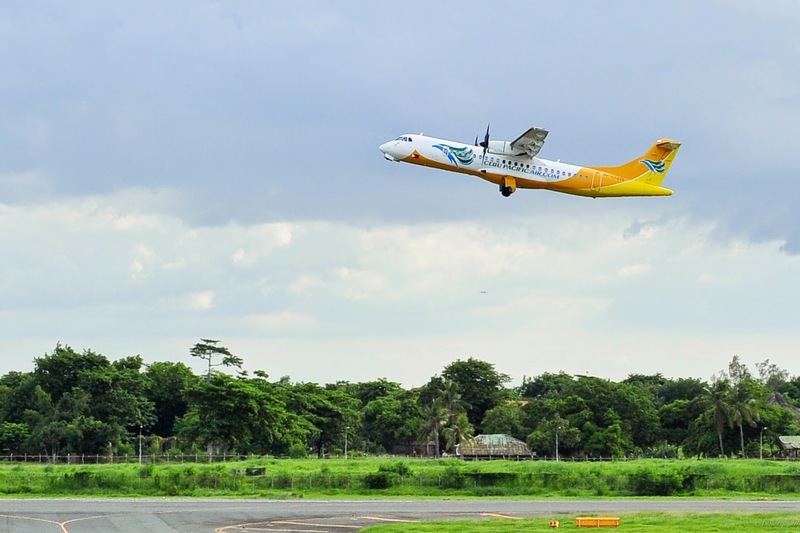 For affected passengers, Cebu Pacific arranged additional flights to and from the Mactan-Cebu International Airport to the Daniel Z. Romualdez Airport in Tacloban. Tacloban Airport is now being prepared by the authorities as the Pontiff, Pope Francis, will visit the families of Super typhoon Yolanda's victims on January 17. The Daniel Z. Romualdez Airport will be closed for all air traffic from 6:00 a.m. to 9:00 p.m. except aircraft that carries the papal entourage, while both runways of the Ninoy Aquino International Airport (NAIA) will be closed from 7:45 a.m. to 8:45 a.m. and from 5:45 p.m. to 6:45 p.m. when his aircraft landed at NAIA from Tacloban.